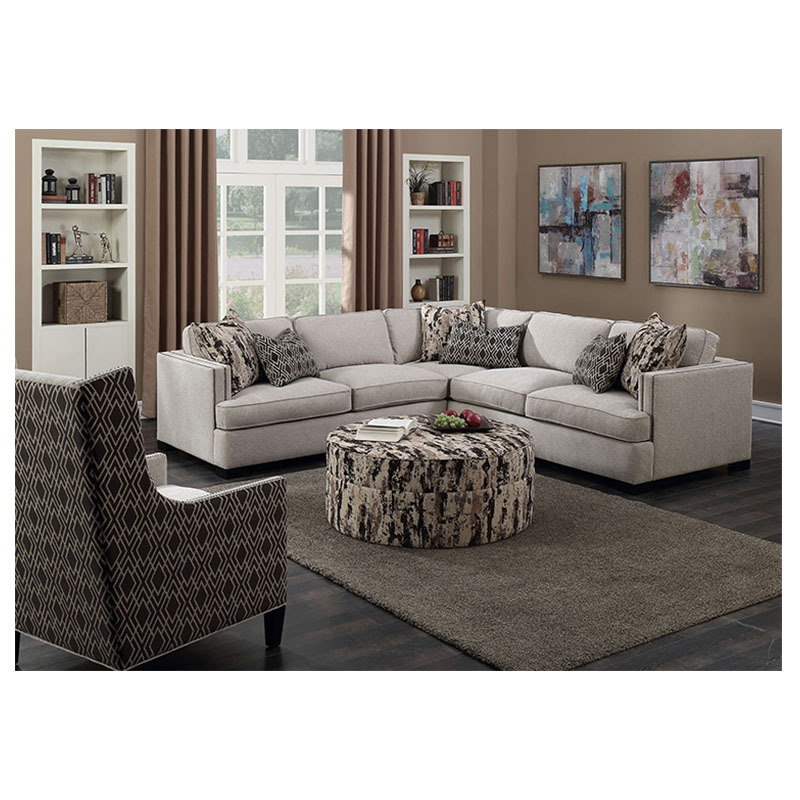 The Broker Mushroom sectional is classy and cozy. This sectional can fill any space in your home. The sweet cream color goes with any palette of decor and looks amazing. Relax into the deep cushions, padded backing and uniquely designed throw pillows. This sectional comes with six pillows.